I’m speaking to Y.O.U! Are you down for a “wax on, wax off” education (referencing “Karate Kid”)? Maybe you don’t have the money for culinary school or you know that all of the practical skills necessary to run a restaurant can’t be taught in a classroom, nevermind that the clock on your debt keeps ticking. Maybe you’re working a job you don’t love, and are ready to pursue a new passion. We’re re-shaping the public’s opinion on what healthy eating can be and have been recognized on many respected platforms ... vegan ones included! (i.e. HappyCow.com). 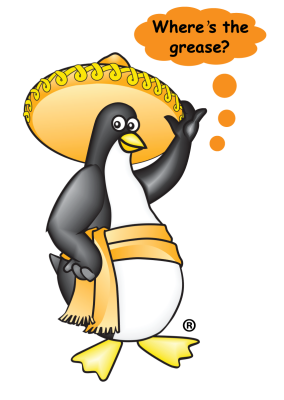 Our dishes are Mexican-inspired with a Latin, World twist and our trademark is ... Where’s the grease? 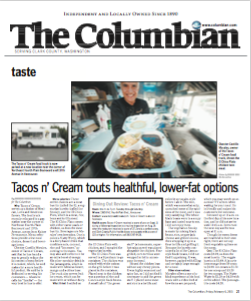 Check out what The Columbian Newspaper reviewed about our food on a surprise visit last year! Click the image to read the full article.